Then Visit Dahshur Pyramids.Dahshur area is a royal necropolis located in the desert on the West Bank of the Nile approximately 40 kilometres (25 mi) south of Cairo. 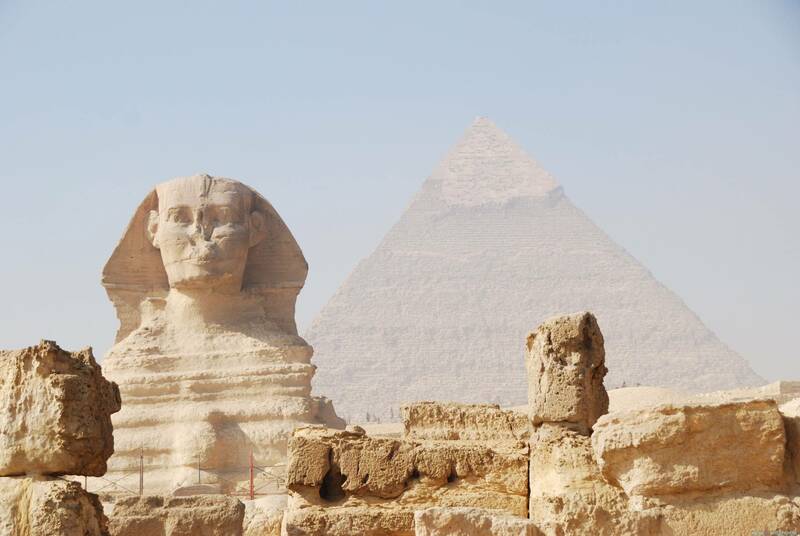 It is known chiefly for several Pyramids, two of which are Among the oldest, largest and best preserved in Egypt, built from 2613–2589 BCE.Then Visit Memphis, the ancient capital of Egypt, where the colossal statue of Ramses II and the great Alabaster Sphinx are. At 8:00 am Pickup from your hotel By our Tour guide to Start your full day tour visiting the Egyptian Museum of antiquities.including an exclusive exhibit dedicated to the TutankhAmon - A collection of treasures, gold, and jewelry that were buried in his tomb for over 3,500 years before they were discovered in the 1920s when his tomb was excavated.Next Visit to The Citadel where you see The Mosque of Suleiman Pasha, The Alabaster Mosque, Then continue your day tour to Khan El Khalili Bazaar.